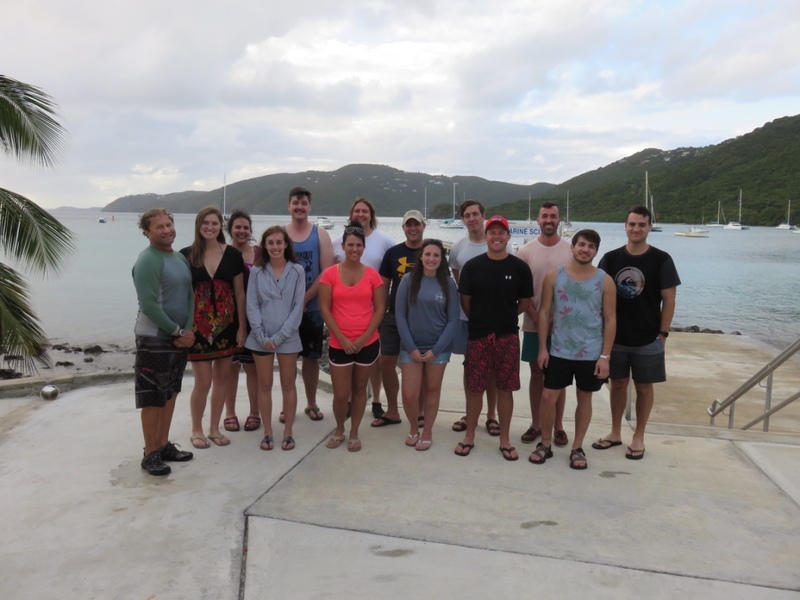 Biodiversity Law students and course instructor Professor Andrew Torrance gather at the University of the Virgin Islands after a snorkeling excursion. Over winter break when many of my peers were braving the cold Kansas winter, I found myself attending law school in the Caribbean. 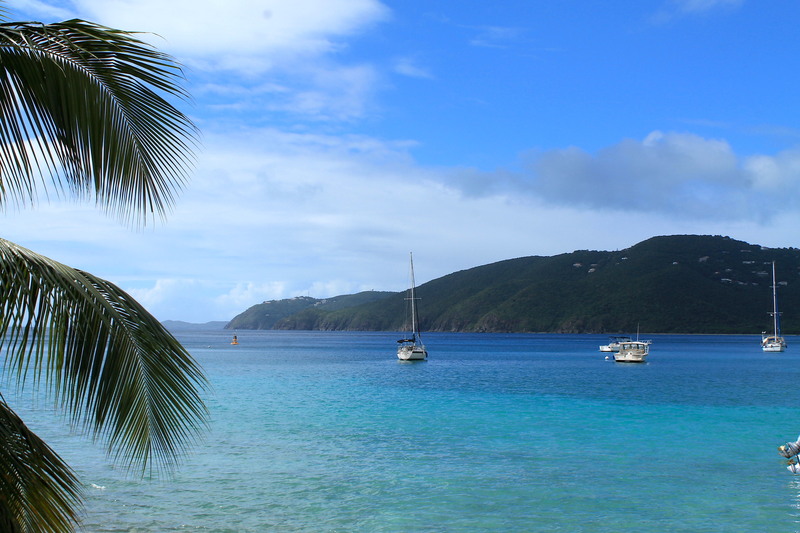 While others sat indoors recovering from their holiday feasts, I was swimming, snorkeling, boating and hiking my way across the Virgin Islands. 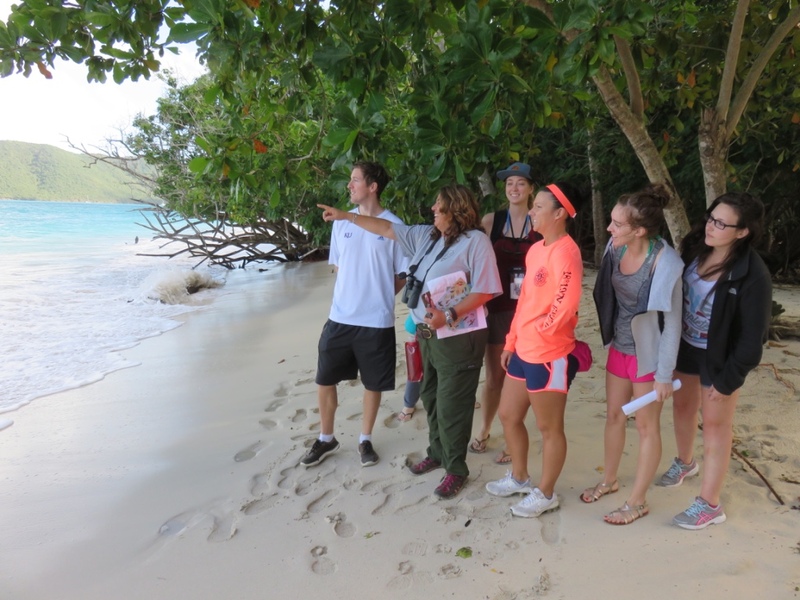 This January, 12 KU Law students embarked on a journey to St. Thomas, U.S. Virgin Islands, to study Biodiversity Law. 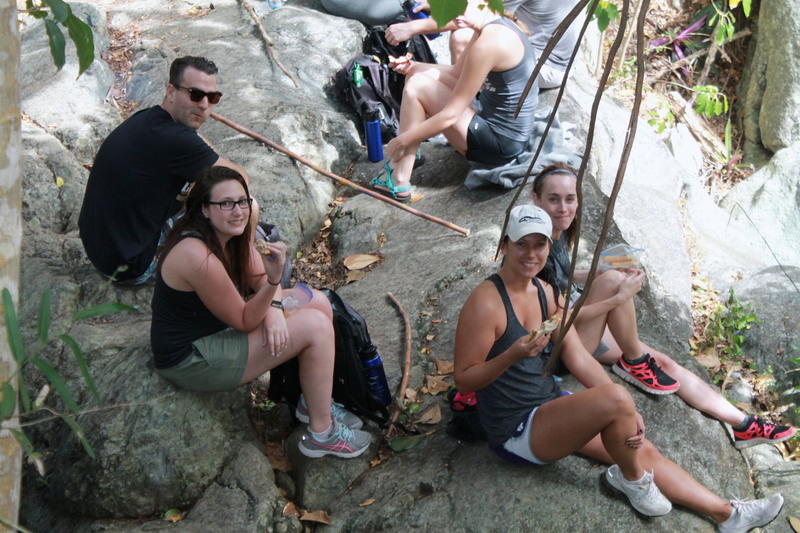 I was fortunate enough to be included in this group of future lawyers passionate about their roles in understanding and preserving biodiversity. 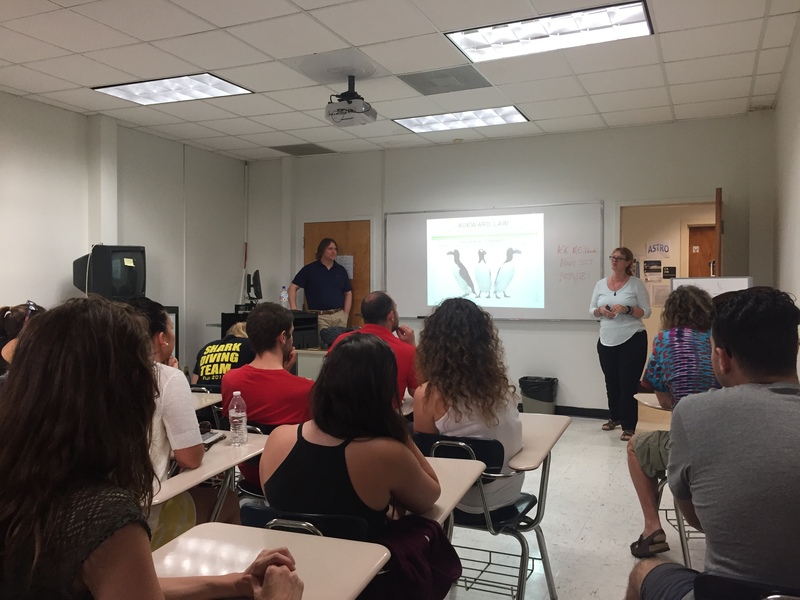 The intersession class focused on the role of law in regulating, managing, utilizing and conserving the earth’s rich biological diversity. Our group ranged from students studying patent or intellectual property law to those focusing on other areas of law but still having a deep connection to biodiversity issues. I come from a science background, with a bachelor’s degree in animal science and master’s in biomedical sciences. 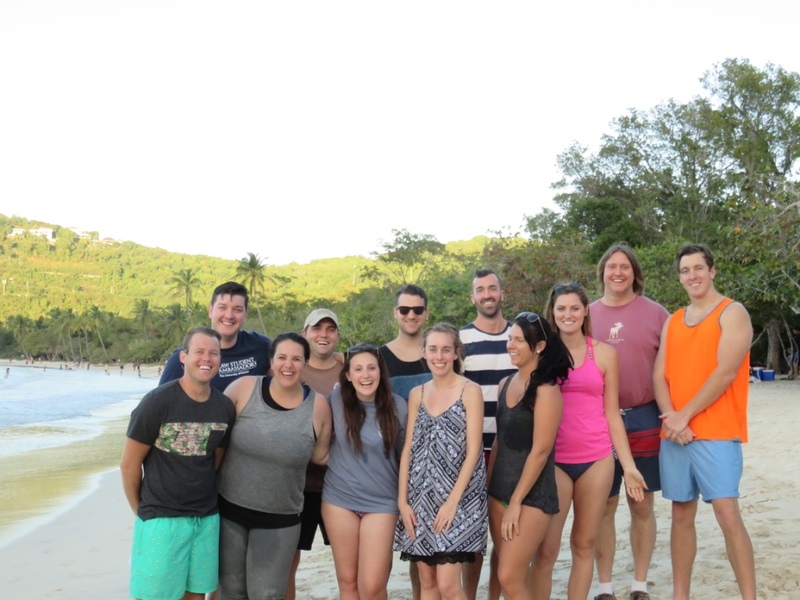 It was a once-in-a-lifetime opportunity to use the knowledge from my previous degrees and expand upon it in the Virgin Islands. 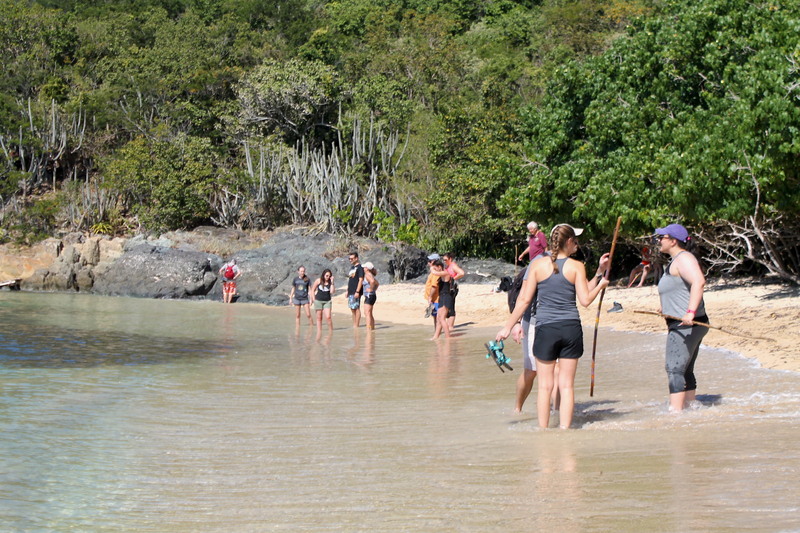 During our stay, we visited the University of the Virgin Islands (UVI), where we met students studying marine biology. Discussing the direct effects humans have on marine life was helpful in trying to formulate effective policies. 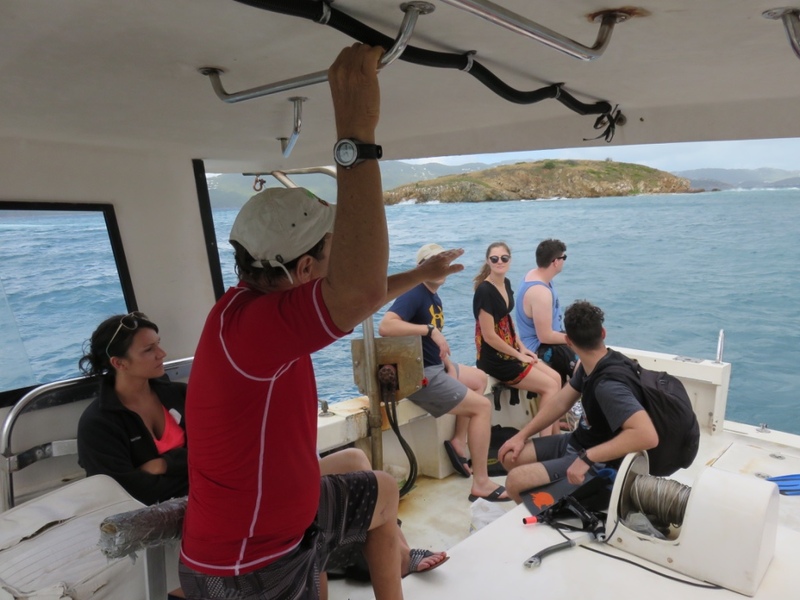 Another highlight of the trip was snorkeling off the coast of St. Thomas with the UVI dive instructor. 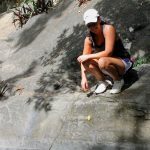 Although I was not the best at snorkeling, I felt an instant connection to the underwater life that calls the Caribbean home. Actually seeing the marine life, which many statutes and agency regulations aim to protect, emphasized its importance. We also met with many local advocates for protecting biological diversity, including a guest speaker who developed her legal career working for the Environmental Protection Agency and now focuses on sustainable energy at the U.N. It was enlightening to interact with local professionals and see the day-to-day struggles they encounter while protecting biodiversity. It is relatively easy to understand the science behind why certain species need to be protected or habitats need to be preserved, but it’s hard to fully grasp the challenges of these policies until observing them in action. 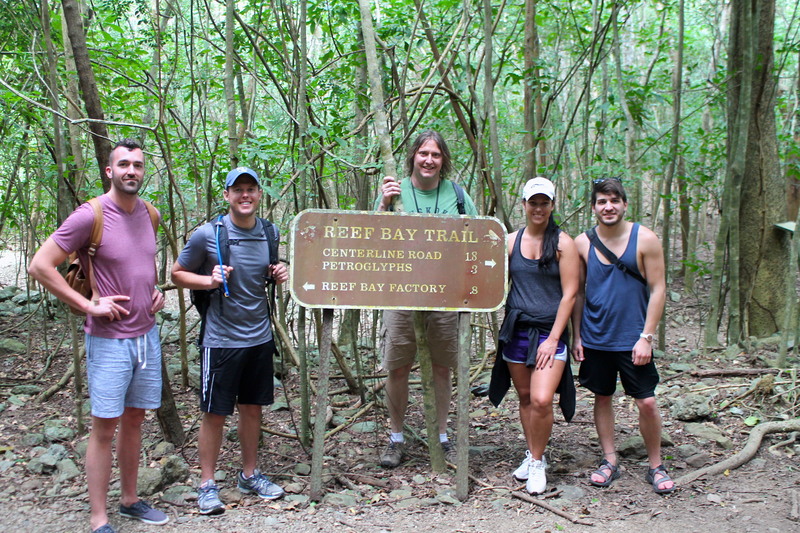 The pinnacle of the trip for me was a half-day hike through Virgin Islands National Park on the island of St. John. The thousands of acres of preserved land demonstrated nature’s beauty, while also telling the story of our ancestors who utilized the land and sea for survival. 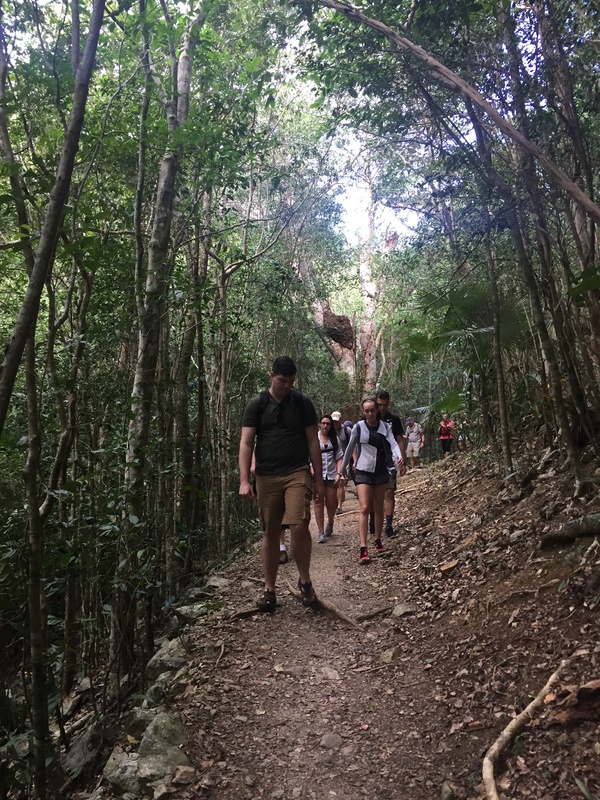 This incredible opportunity to learn about the law in a hands-on environment drove home the significance of conserving the earth’s rich biological diversity. 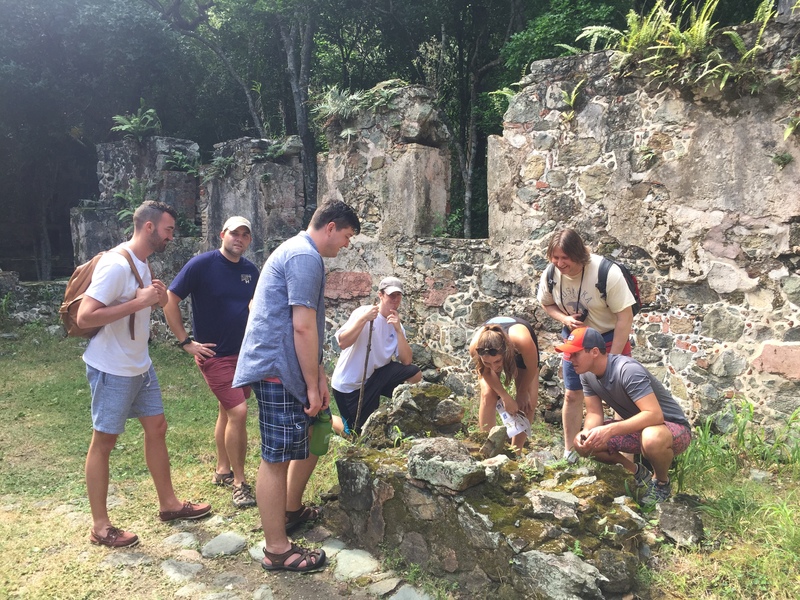 My classmates and I gained knowledge on this trip that could not easily be taught in a traditional classroom. – Bobbie Jo Horocofsky is a 1L and student ambassador from St. George, Kansas. 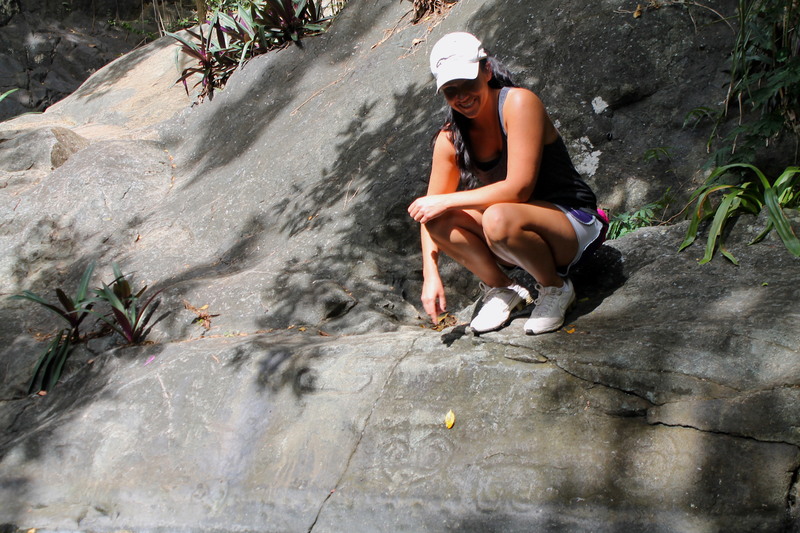 She is shown here with petroglyphs carved into a rock face at Virgin Islands National Park. ← Why choose Trento? The pictures say it all.